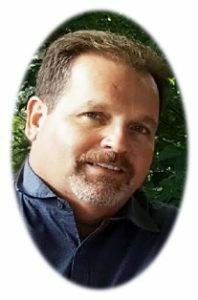 Jay P. Jacque, age 55, of Sauk Trail Road, Cedar Grove, WI passed away unexpectedly on Tuesday, January 24, 2017. The youngest of twelve children, Jay was born on May 17, 1961 in Port Washington; son of Nicholas F. Jacque Jr. and Dorothy “Rita” Brainard. He grew up on the family farm in the town of Port Washington. After high school, Jay joined the United States Army, serving in Germany and later was stationed in Massachusetts. On May 29, 1982, Jay married Dena Hespe of Saukville. For the last 17 years, the Jacque family called Cedar Grove home. A beloved husband, father, and friend – he inspired and touched countless lives with his heart. Notorious for his tireless and selfless drive to provide for family, friends, and notably strangers; his attention to detail was most underlined by his desire to give. Not just of material goods– some of which you didn’t yet know you needed or maybe would ever need, but of unconditional compassion and care. A skilled hunter of deer and deals, there wasn’t a sale he missed or rummage he didn’t spot. Jay also had a passion for driving. In his semi at United Parcel Service (UPS) where he worked for 27 years or on his polished Harley for a Sunday drive looking for land. You could also find him in his red Chevy pickup piled with a bundled-up family to pick out a Christmas tree. Most of all, he simply enjoyed going anywhere with his family. Living by his own rules, he liked to be in the front whether it was in church or on the highway. When he wasn’t driving, he enjoyed watching the Rifleman, Packers, and anything his kids did. Whether it was brushing their teeth for the first time or sports they played; every moment was captured on video. Twenty-five years, multiple sports, thousands of games, and tens of thousands of miles traveled – not a single event was absent him. Beyond a genuine commitment to his children, he consistently demonstrated his profound respect for service members, particularly veterans. Not only did he always pick up their tab, he did so unbeknownst to them. He would go out of his way to give a hearty handshake and an authentic “thank you for your service” as they passed by on the street or marched in a parade. As a strong believer, his relationship with the Lord was paramount to his life. Jay never missed an opportunity to share a tract with a friend or stranger personalized to them. Although his work here is done, he gave so fully that we’ll never be without. Jay is survived by his wife Dena; his children Jessica Coulter of Palmyra, VA; Taylor Jacque of Madison; Toni (Ryan) Modder of New Berlin and Spencer (Cally) Jacque of Chicago; his grandchildren Cameron, Isabelle and Zoe; siblings Judy (Roger) Wendtlandt of Grafton, Joanne (Robert) Gerritts of Sherwood, WI, Jane Jacque of Port Washington, Joel (Peggy) Jacque of the Town of Port Washington, Jim (Mary Jo) Jacque of Green Bay, John (Glenda) Jacque of Port Washington, Jules (Sue) Jacque of Blair, WI, Jill (Kris) Becker of Saukville, Jenn (Greg) Chronis of Grafton, Nic Jacque of Arizona and Jerry (Carrie) Jacque of Fredonia; sister-in-law Jaime (Duane) Rismeyer of Port Washington and brothers-in-law Steve (Bonnie) Hespe of Mukwonago and Carl (Angie) Hespe of Chino Valley, AZ; nieces, nephews, other relatives and friends. Funeral services will be held at 1PM Saturday, February 4, 2017 at Friedens Evangelical Church, 454 N. Milwaukee Street, Port Washington. Pastor Brandon Lemons will officiate. Family will receive friends from 10-12:45PM Saturday AT CHURCH prior to services. Interment will take place at St. Mary’s Cemetery in Port Washington. Sorry to hear about the passing of Jay. I have many good memories of the Jacque family when watching Taylor & Spencer play football & basketball at Cedar Grove. Jay was so proud of Taylor’s & Spencer’s accomplishments. Our prayers are with your family. I first got to know Jay (& Dena) when I was coaching YMCA basketball when Taylor was young. It was fun seeing Jay, a proud father, watching his son play and improve each game. Since then, I enjoyed “bumping” into Jay around town. Sometimes he would stop in a the house (to check out my GTO), or I would stop in by him to talk cars and hunting. He was always a joy to talk to. At times, he would just yell something across the street (from the gas station), or from his truck, that would just make me laugh and say to myself, “you crazy nut”! I will miss him! My wife and I will keep you guys in our prayers during this difficult time. So sorry to hear about Jay. Lots of fond & fun memories through high school and beyond. So sorry for your loss Dena and family. Sending prayers for comfort and strength. Joanne and family, I am so sorry to hear of your brother’s death. Always remember his smile, laughter and all the good times you had together. My prayers are with you as you deal with his loss. Dena and family, we are so sorry to hear of Jay’s passing. May your memories help you thru the days ahead. I worked with Jay for many years at UPS and occasionally would bump into him. Jay always had a smile on his face and usually something witty to say. I am very saddend by Jay’s passing. He will truly be missed by many. My deepest condolences to Jay’s family. We have been so saddened by the news of Jay’s passing. May our continued prayers and those of so many others bring you comfort at this very difficult time. Peace to you and your entire family. We would see Jay occasionally at the old Stephan’s Drive-In (now River’s Edge Restaurant) in Saukville. Always a happy guy! Jay was a great guy. He had a loving , caring heart as big as the outdoors he loved. All my prayers are with you all. Dena and family, so sorry to hear of Jay’s unexpected passing. I have fun memories of our younger days, hanging out at the Greiveldinger’s pool with the whole Jacque clan. Condolences to the family of my classmate, whom I shall always remember as a smiling, sincere, friendly, athletic, and brave bundle of energy. Sweet Dena. May God wrap his arms around you and carry you at this most difficult time. So much love to you and your family. I was shocked and very much sadden to hear of is death. He was much too young. The whole Jacque family lived across the road from us on County Rd. B as kids growing up back then. My heart hurts for you all. Jay was a big walking heart. Love to you all during this difficult time.